So much yarn, so little time. 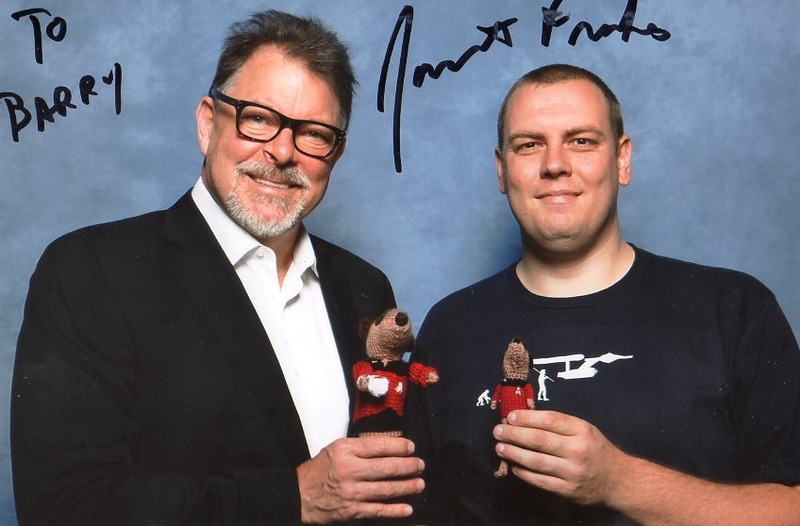 : New MeerTrekkie fan photos! Jonathan Frakes - Picard's number one, Will Riker. Mr Frakes is holding PicardKat, whilst Barry holds RikerKat. 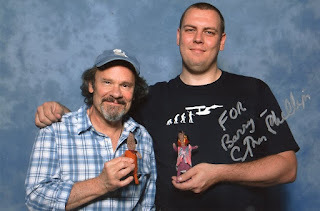 Ethan Phillips, who played Neelix. Must have taken an age in makeup! He's holding KesKat, Barry is holding NeelixKat. Heather! That is sooo cool! ooh - long time no see, fishstikks!